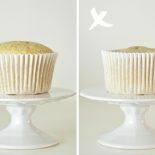 Cupcakeando » Arquivos » Patisserie 101: how much should I charge? I always get e-mails or comments asking for help to determine a price for their cupcakes. Generally I tend to point to another post, made by Sam, at Fofurices, about how much to charge for your work. It’s great and simple, I recommend that you all find a good translator and read it. But she doesn’t give some advices that I think are essential to start a small business, may it be of cupcakes or any other food. You should start by deciding what you want to sell, of course. Only cupcakes? Cookies too? Brownies? You need to plan this out. One thing is to bake for you and your family, another is to do it for profit. After you’ve decided your main product, you need to choose a menu and recipes for each option you’ll offer. Test many recipes before finishing this step: treat the client as if he/she was family. Would you serve your son a dry, burnt and rough cupcake? No. So your client doesn’t deserve that either. This care can determine the fidelity of your business. 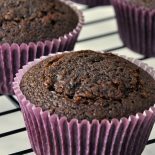 For your menu, you may choose between offering a “pick yourself” way, in which the client chooses the batter, the filling and the frosting himself, or you can offer predetermined options. They each have their pros and cons, but you can always tell the client you can give advices on each combination of flavors. And how much will I charge for each cupcake? After you decide your basic recipes, open an Excel file (or request the help of a much more mathematic human being, like I did with Mr. Boyfriend) and create a spreadsheet of expenses for each recipe. The spreadsheet must contain all the ingredients, the price of each wherever you buy them, the quantity used on the recipe and the value corresponding to the quantity used. Meaning: if your 200g stick of butter is $ 5,00 and the recipe calls for 100g, your expense of butter for each recipe is $ 2,50. Do this to every single recipe. Add the expense with decorations as well, like sprinkles and sugar hearts, and also the expense with paper cups. You should also count the expenses you have with water, light, energy and gas. Since I live in Brazil, my suggestion wouldn’t work for other countries. I recommend that you make a research about these prices where you live. In the end, divide the total by the quantity of units your recipe yields. Generally, a cupcake recipe yields 12 cupcakes, but this can vary. Another reason for why it is so important to test the recipes before you choose one. With your spreadsheet ready, you’ll know exactly how much you spend to produce each cupcake. Onto this, consider your profit. I never studied Administration, but I’ve been told that the ideal is to profit double the price of each product. Meaning that if each cupcake costs $ 2,30, you should charge $ 4,60 for each, because that’s where your “salary” comes from, besides costs with equipment improvement. So that’s it, I should charge double the price it takes me to make it. Now you have to consider the market knowledge, your personal needs and common sense. It is a good thing to make a research with other sellers or patisserie shops on your region. Be honest and say that you would like to know the price so you can charge accordingly. Competition on this area exists, but my opinion is that it’s stupid to create enemies. There are thousands of people in one city and a single seller can never be able to fulfill all the requests. It’s good for everybody to have many sellers. The client should be the one to choose which he prefers and you should always deliver the best quality product you can. Consider your personal needs. Can you, at this moment, charge less than you should, so you can gather clients? Besides that, always apply the common sense. Think like the client would. If you were to buy a simple cupcake, with no complex decorations, would you pay $8 each? I don’t think so. If that’s what you should charge by your accounting, then try to work with less expensive ingredients. But what if my cupcakes have complex decorations, for instance with fondant? In this case, work with quotes. Write down everything the client wants and prefer e-mails for this, because you will have everything documented. If he/she wants a woman in a polka dot dress, making a yoga position, then charge accordingly. My recipe yields 12. How can I bake more for big orders? Multiply everything, it’s as simple as that. Check the capacity of your mixer because it might hold only 2 or 3 recipes at a time. Buy more cupcake trays. Always have more paper cups than you need. Try to make everything on the same day or the day before of the delivery. In case you can’t, you can make the frostings ahead of time and keep them in the fridge. 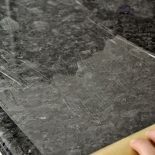 Remove at least 3 hours before using, so it can come to room temperature. Fillings work in the same way. For the cakes, there are some people who freeze them, wrapped in plastic, but I don’t like this approach. They tend to dry out and can even release the paper cups. The best thing to do is bake them as close to the delivery as possible. Where will I storage 200 cupcakes until the delivery, for Christ’s sake? Look for sweets boxes, generally made from cardboard. Keep them in well ventilated places of your home, and far away from ants. If your house is like mine, where ants are common and annoying, use the coffee technique. 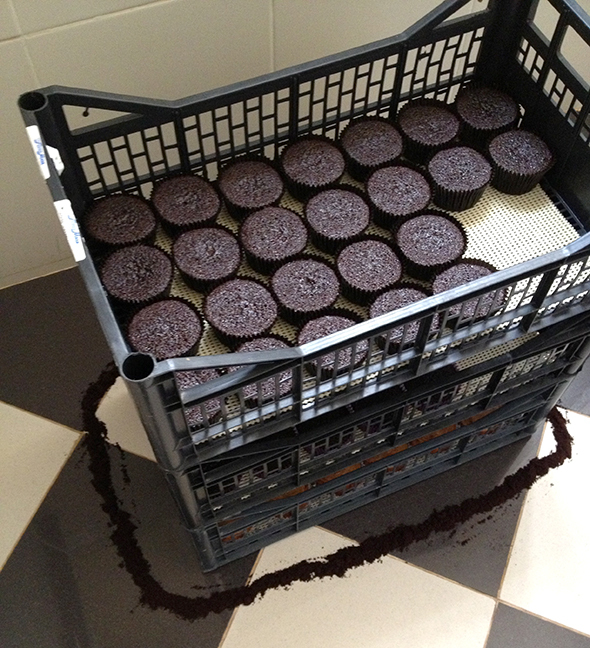 Make a circle of powdered coffee around the boxes. The strong smell and the obstacle created won’t let them come near your sweets. Hou can I make the delivery? It is best that the client would pick it up. Recommend that he/she brings cardboard boxes, or you can even buy some of your own, but make sure to charge the price from the customer. If you need to deliver, calculate the distance from your home to the right spot and think if you will have to make two or three trips. Some online shops sell cupcake boxes with holders that are great for transport because it holds the cupcake in place. However, they tend to bit very pricey in Brazil, but I’ve found a good seller on USA, it’s BRP Boxshop. I love them! I’ve got the money and the cupcakes are eaten. Anything else? Of course! Say THANK YOU. E-mail or call your client and say that you are glad for the order. Ask if it was good, if he/she liked it, if he/she has any suggestions. You should always listen to your customers. They may not always be right, but they surely have voice and need to have your attention. If they say something is lacking or it’s not good, look for improvements. Consider even changing your recipe if your heve many complaints. What else do you recommend as for organization? Plan your orders by writing down the recipes in a notebook and buying all the ingredients ahead of time. Just imagine having to run down to the grocery to buy more milk. If time is money for you, try to make most things ahead. I sometimes sift the flour, baking powder and salt together beforehand, in the right measures, so I need only to mix everything later. Seems silly, but it really helps. When you can, search for better utensils that might make your job easier. 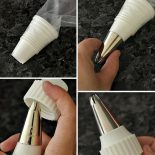 A bigger sifter, a powerful mixer, a cupcake corer, and so on. I believe I’ve covered everything, with tips. It’s huge, I know. The main idea is to always be nice, captivate your customers and treat the with respect and honesty. Never make a fool out of someone, because in the end you will suffer the consequences. Make everything with good quality ingredients and never offer what you can’t deliver. If fondant is not your thing, make the best frosting cupcakes you can. Vice versa. If there’s something I didn’t mention, I’ll do my best to answer you guys through comments.